​Welcome to The Pink Daisy Project! We aren't raising money for research or awareness. Our goals are simple: to help young women cope with the hardships of breast cancer treatment by providing care and comfort. ​For our girls, it's too late for a cure. They need help TODAY. 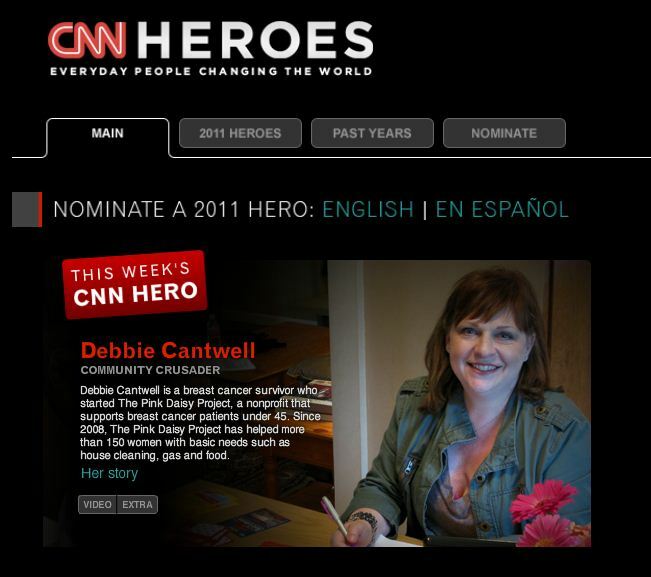 Thank you CNN for this incredible honor! ​Since 2008, the Pink Daisy Project has helped more than 150 women -- mostly in the form of house-cleaning assistance and gift cards for gas, groceries and restaurants. But according to Haley, it's so much more. "It's hope," she said. "Right when I would hit the (emotional) low, there was a gift card ... or the toilet was 'magically' clean. I can't overemphasize the value of that to somebody with cancer." 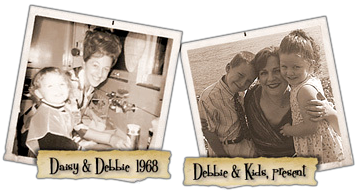 The founder of the Pink Daisy Project, Debbie Cantwell, can relate to Haley's plight. She was 41 when she was diagnosed with breast cancer in 2006. Follow us online to keep up on the latest news & stories!